Janet Evanovich was born Janet Schneider on April 22, 1943 in South River, New Jersey. She routinely appears on both the New York Times and Amazon Bestseller Lists and has a devoted following of readers. Using the pen name Steffie Hall, she published her several short romance novels. She later struck gold with her popular ‘Stephanie Plum’ Series – the twenty second book in the series, (‘Tricky Twenty Two’) will be released this November. 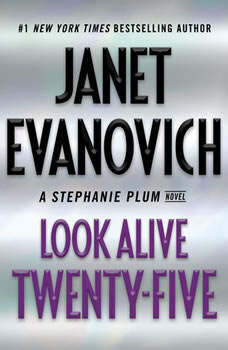 After the third book in the series, Evanovich started running contests for her readers to suggest names for the next book. Each Plum book since that time has been named by a fan. The heroine, Stephanie Plum becomes a bounty hunter in her hometown of Trenton, New Jersey by bribing her pervert cousin Vinnie for a job after she is laid off as a lingerie buyer. Although there is plenty of romance and comedy in the books, they are primarily modern mysteries with an outrageous cast of secondary characters that add down to earth humor. Evanovich became the first in her family to attend college. After graduating from South River High School she went on to attend Douglass College, part of Rutgers University. Janet Evanovich married her husband Pete in 1964. When she had her son, Peter and daughter, Alexandra, she decided to become a stay at home mom to raise her children. She first began writing in her thirties and had trouble publishing her first three manuscripts. Someone suggested she try writing romance novels. She had written two romance novels and still had not found anyone to publish them and became discouraged. She stopped writing and instead signed on with a temporary employment agency. After she worked there for several months, she received an offer to publish her second romance manuscript. She wrote and published multiple short romance novels before creating the world of Stephanie Plum. She has also written several other series, including the ‘Wicked’ Series, the ‘Alex Barnaby’ series, and the newer ‘Fox and O’Hare series featuring an FBI Agent and her partner, a notorious thief on the FBI’s Most Wanted List.